980 kWp solar plant was inaugurated at Bharat Fritz Werner Ltd.
Enerparc India, a subsidiary of global solar solution provider Enerparc AG is glad to announce commissioning of 980 kWp solar project at Bharat Fritz Werner Ltd. (BFW) located at Bengaluru, Karnataka. The rooftop solar project at BFW will generate approx. 15 lacs of units annually thus helping BFW to meet a major portion of its power needs through green energy and reducing its dependency on fossil fuels. It will also help BFW to offset 1350 tons of carbon emission every year. “BFW has always been a pioneer in adopting new technologies for its business and global sustainability, this solar project with Enerparc is yet another example of BFW’s commitment of being socially responsive towards the environment," said Mr. Ravi Raghavan, the MD and CEO of BFW. BFW started its journey in 1961 to realise the dream of a young economy that was on the cusp of industrialisation. Ever since we have been at the heart of manufacturing. We’ve supported the growth of the Indian Manufacturing industry by creating the machine tools vital for industries, across verticals – from agriculture to aerospace projects. We are a customer-first establishment. We do whatever it takes to enable progress for our customers by acquiring new technology to serve customers better and investing in R&D Centre to create next-gen technology. At BFW, we ensure progress at every step, with every innovation. We are here to "Enable Progress". Every machine we build helps manufacture products that improve the quality of life, and progress of mankind. Enerparc India is a subsidiary of Enerparc AG, Germany. 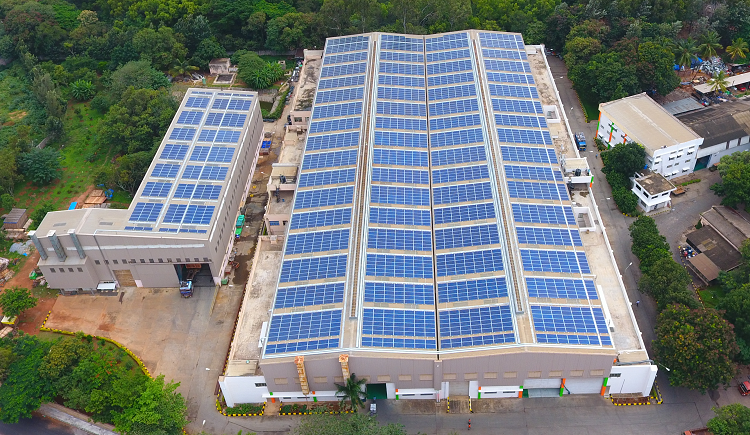 With its headquarters in Bengaluru, the company specializes into Investment and EPC services for rooftop as well as ground mounted solar photovoltaic (PV) systems across India with focus on Industrial & Commercial segment. Enerparc AG is a global expert in developing, engineering, building, and operating large-scale photovoltaic (PV) systems. As an EPC contractor, our company has connected over 2,000 MW of solar systems to electricity grids, a knowledge base we draw upon to combine speed, flexibility, and high quality in delivering projects. With local presence in all active solar markets like Europe, North America, Middle East & Asia, we are also one of the largest Independent Power Producers (IPP) in solar energy with more than 200 discrete solar projects in our own portfolio, with an installed capacity of over 1100 MW and growing. Specialized in these business fields and with a belief in absolute reliability, top quality and the long-term success of renewable energies, we and our project managers, engineers and designers are looking to set new standards in the solar industry. We work in partnership with the community of partners, contributing our global engineering and construction experience, striving for cost leadership in value chain, focusing on bettering end customer’s value. Our dedicated team comprises of long-standing solar industry professionals with expertise in grid-connected PV project development, design, engineering, procurement, construction and operations in India and worldwide.